Manchester United just keep on winning. As simple as it sounds, Manchester United won 3-0 at Craven Cottage, beating Fulham in a match where keeping a clean-sheet proved to be a tough task. 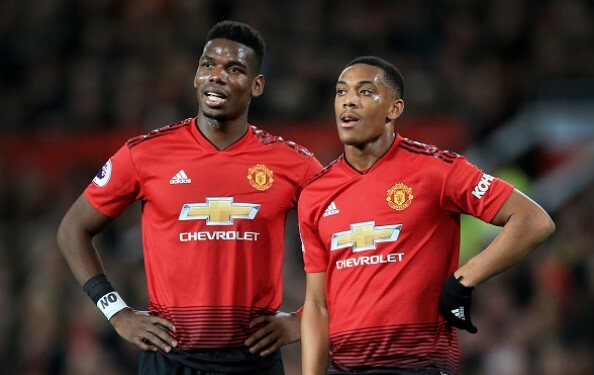 In the end, early pressure from Fulham was not converted and from then on, the Devils made themselves seen in London, as Paul Pogba scored a brace and Anthony Martial added a goal sandwiched between those of his older compatriot. Paul Pogba is having an incredible season ever since Ole Gunnar Solskjaer is the manager. In nine Premier League matches since the Norwegian arrived, Pogba has eight goals and five assists! That is having a hand in 13 goals, one every 61 minutes! Such numbers are truly incredible, especially since we know Jose Mourinho was ready to bench him due to issues between the two of them. Since the start of season in Premier League and Champions League, Pogba has 12 goals and 10 assists, which is a hand in 22 goals, just one short of his personal best. In 2015-16 he had a hand in 23 goals for Juventus in Serie A and UCL, but this time he will most definitely surpass it. He has three braces to his name just since Solskjaer came in and this one was completed with a precise penalty, but a beautiful finish from a tight angle preceded it. Romelu Lukaku played ahead of Marcus Rashford. It was a surprise for Man United fans, but obviously Solskjaer thought the Englishman could do with a bit of a rest, especially before the match against PSG. Lukaku’s performance showed again why Rashford is the current first choice in that position, as the Belgian always looked stiff. His first touch was almost always heavy and he had just one shot throughout, a headed miss. Slavisa Jokanovic could not solve this mess of a defence Fulham have at disposal this season and now Claudio Ranieri realizes he will not be able to do any better. A back four of Odoi, Le Marchand, Ream and Bryan is at least three quarters made of Championship players. Add a lacking structure in front of them, with a careless Jean Michael Seri and you get this, 58 goals conceded in 26 matches. Anthony Martial seem like the biggest win for United in 2019. Rashford is in incredible form, but it kickstarted in early December, while Martial’s goal against Fulham showed just how talented he is. It seems puzzling that Mourinho was ready to sell him, but good thing is that the club was not. He signed a new long-term contract and immediately started proving once again how much he enjoys playing for Manchester United. Solskjaer wanted to take a few risks this time. Lukaku started ahead of in-form Rashford, Juan Mata was there ahead of Jesse Lingard and Dalot and Phil Jones made half of the backline. And still, Man United won comfortably, which is of huge importance. During Mourinho’s time, it often looked like he was changing for the sake of changing and trying to prove a point to some of his players. Solskjaer does it for the real need of doing it, keeping everyone both happy and fresh, while planning for more important matches. That is a big quality.